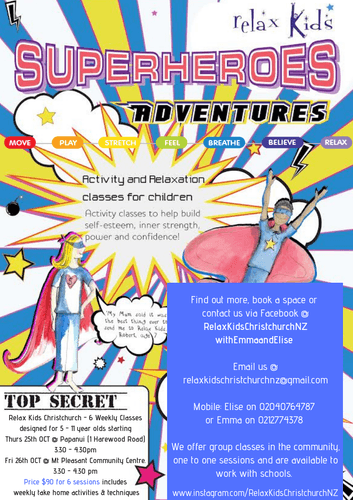 Join Relax kids Christchurch with Emma and Elise for a magical superhero adventure. 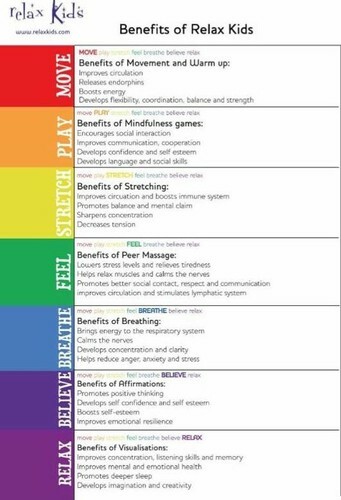 Your child will learn techniques to manage their emotions, build self esteem and feel brilliant! Your child will have fun and learn simple relaxation techniques that they can use any time any place, theses techniques can be shared with the whole family and will set your child up for the future, helping to deal with the stresses and worries that pop up in life. 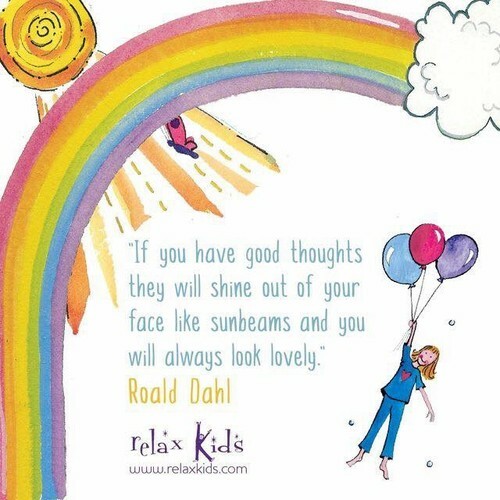 RelAx kids classes are run by Emma and Elise who are both professionally trained with many years working with young people. 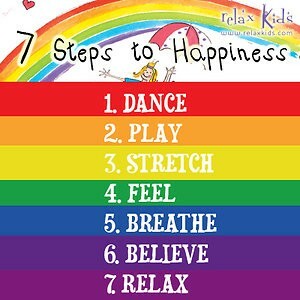 They follow the unique relax kids seven step method incorporating movement, mindful play, stretches, affirmations, breathing exercises and more. Classes designed for 5 - 11 year olds. We also have classes running in papanui and are available to work one to one with children.